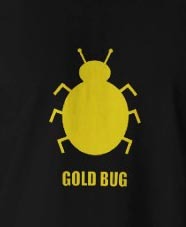 The gold bugs are rising. Even US states, nervous about the failing economy and heavily laden with debt, are jumping on the band wagon. More and more states are looking at the Utah model of allowing citizens to pay their debts and trade using gold as an alternative to fiat money. When Governor Gary Herbert signed a bill into law in March 2010, Utah became the first state to stick its neck out and introduce its own alternative currency recognizing gold and silver coins issued by the U.S. Mint as a legal form of payment. Under the law, gold and silver coins, including American Gold and Silver Eagles, are now treated the same was as U.S. dollars for tax purposes, eliminating capital gains taxes. However, as the face value of some U.S.-minted gold and silver coins is less than the metal value (one ounce of gold is now worth more than $1,700), the new law allows the coins to be exchanged at their market value, based on weight and fineness. 13 states lawmakers including Minnesota, Tennessee, Iowa, South Carolina and Georgia, are looking to follow suit by currently seeking approval from their state governments to issue their own gold based currency. The US Constitution bans the states from printing their own paper money or issuing their own currency, but does allow states to make "gold and silver Coin a Tender in Payment of Debts." “To the state legislators who are proposing state-issued currencies, that means gold and silver are fair game”, said Edwin Vieira, an alternative currency proponent and attorney specializing in Constitutional law. "A Utah citizen, for example, could contract with another to sell his car for 10 one-ounce gold coins (approximately $17,000), or an independent contractor could arrange to be compensated in gold coins," Rich Danker, a project director at the American Principles Project and conservative public policy group in Washington, D.C stated. And while we are on the conservative trolley Newt Gingrich has announced that he will institute a study of returning to the gold standard if he is elected. South Carolina Republican Representative Mike Pitts has a bill proposing a currency system allowing people to use any kind of silver or gold coin , "whether it's a Philippine Peso or a South African Krugerrand based on weight and fineness. Pitts said in the bill, which currently has 12 co-sponsors, that the state is facing "an economic crisis of severe magnitude." It seems the tide is turning. People will accept just so much waste paper for a currency that is digging a deeper and deeper hole of debt before they say enough! Gingrich stated in a speech recently, "Hard money is a discipline. It is very important for us to understand in finance that the entire contraption that has been built up over the last thirty or forty years has so much paper in it, so much debt, so much leverage, that we probably have a fifteen- or twenty-year period of working our way out of it. And yet, the alternative is to get sicker and sicker and sicker." Mr. Gingrich sent a signal that his commission would be different indicating the co-chairmen would be Lewis Lehrman, and James Grant, the editor of Grant’s Interest Rate Observer. "The fundamental conclusions of a Lehrman-Grant commission to consider a gold standard may be foregone: We’re for it," Mr. Grant wrote in the latest issue the Interest Rate Observer. The various states' proposals have also been gaining attention among Tea Partyers and Republicans, many of whom are also endorsing a nationwide return to the gold standard, requiring the U.S. dollar to be backed by gold reserves. And the Tea Party "father" Ron Paul is sponsoring the "Free Competition in Currency Act," which would allow states to introduce their own currencies. It seems a gold standard is not that far away after all. Gold Price UP or currency DOWN?